In September this year MINI will launch its latest and largest model, and the first to offer four wheel drive, to the UK market. The MINI Countryman range will be the fourth member of the MINI family following Hatch, Convertible and Clubman. It means that MINI owners who love the brand no longer need move to another make when they need more space in their car. The MINI Countryman will be available in five models, three of which will offer ALL4, MINI’s new four wheel drive option. At launch the Countryman range will include three petrol and two diesel models, as well as two ALL4 all wheel drive models – the Cooper D ALL4 and Cooper S ALL4. The petrol engines are the new 1.6 litre power plants already announced for the Hatch, Convertible and Clubman models due in March 2010. The diesel units are shared with the rest of the MINI range. The petrol engines all feature Variable Valve Timing (VVT) similar to the BMW Valvetronic system that produces more torque low down and aids overall efficiency. The Cooper S model also features a twin-scroll turbocharger and direct fuel injection that gives blistering performance with modest fuel economy and low CO² emissions. All engines meet EU5 emissions standards. The key performance data are listed below. *The MINI Cooper S Countryman delivers 260 Nm of torque for short periods courtesy of Overboost. Two models in the new Countryman range will offer four wheel drive, for the very first time in MINI’s 51 year history. 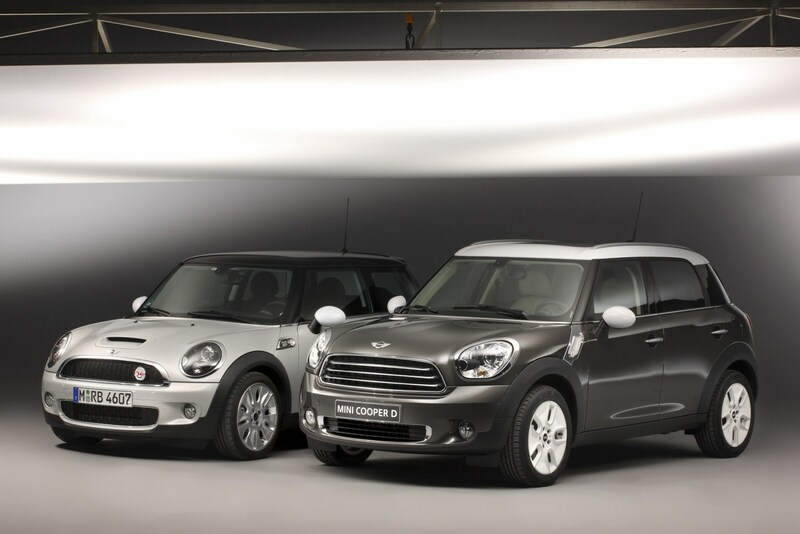 The MINI Cooper D and Cooper S ALL4 models will be available as models from day one. A MINI Cooper ALL4 version will follow in 2012. Not everyone needs four wheel drive all the time. MINI has a typically smart, and fuel efficient answer for this conundrum: the Countryman ALL4 is a front wheel drive car in most normal circumstances, but when wheel slip on the front wheels is detected or if the car is being driven enthusiastically an electro-magnetic clutch, located on the rear axle, engages drive to the rear wheels to improve traction. To enable this imperceptible change to the driven wheels a propeller shaft from the front axle is driven constantly and is ready to direct drive forces from the front axle to the rear in lightening time. The amount of power fed to the rear wheels is infinitely variable between one per cent and 100, depending upon the driving conditions. “Countryman ALL4 is a soft off-roader for use in everyday situations like parking in a field for a sporting event or driving on the beach” explained Connolly. The ALL4 models costs a modest £1,065 for the Cooper D and £1,220 for the Cooper S above the standard front wheel drive Countryman models and the penalty in terms of fuel consumption and CO² emissions is smaller than one might expect. 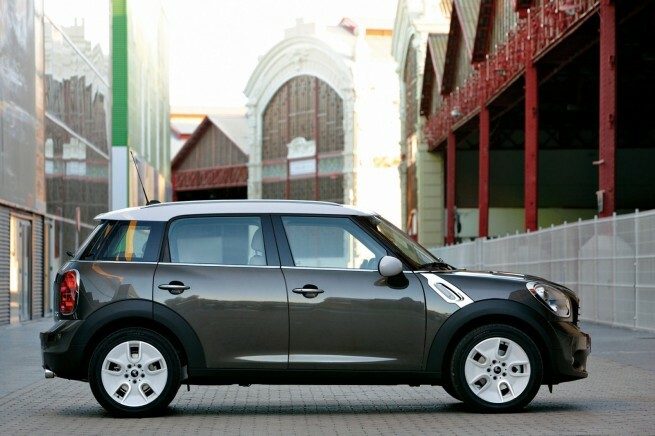 The Countryman has a familiar MINI appearance, albeit distinctly different to any that have gone before. It is 398 mm longer than a MINI Hatch (at 4097mm), 316 mm wider (at 1,789 mm) and 170 mm higher (at 1577mm). Countryman offers 190 litres more luggage capacity than a MINI Hatch with the seats up (a total of 350 litres) and 1,170 litres with the rear seats folded flat. For the first time ever a MINI has four wide-opening doors, passenger capacity for five adults and a flexible, activity-orientated interior packed with innovations. All UK models will be built as five seat cars, although customers can specify the four seat option at no extra cost. Featuring that typical ‘wheel at each corner’ stance with short overhangs, the Countryman not only has larger dimensions than its cousins but also a higher ride height. This provides the commanding driving position preferred by many drivers with the higher ground clearance for soft off-road driving. 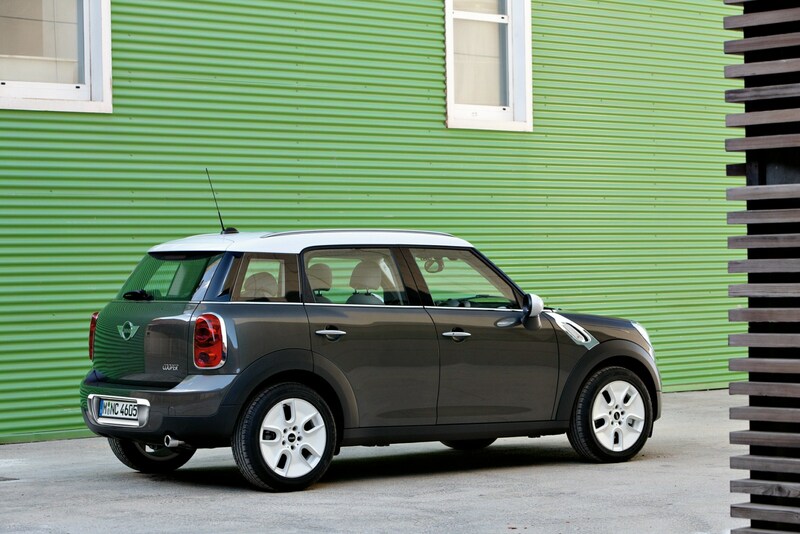 Its ground clearance is 10mm higher than any other MINI model. Many design characteristics are familiar such as the high window line surrounding the glasshouse while others are new interpretations of iconic features. For example, the roofline with roof rails, the reinterpretation of the hexagonal radiator grille and the prominent headlight units integrated into the bonnet. 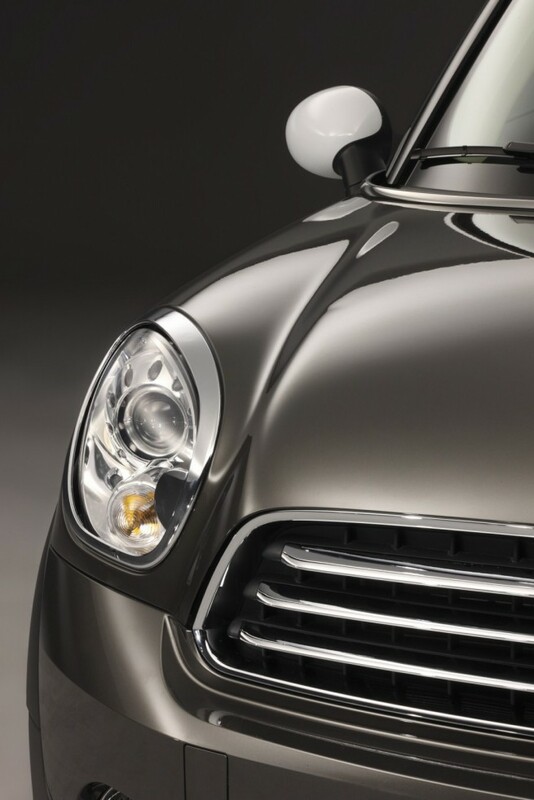 The front of the Countryman is more upright projecting a confident, ‘face’ that also offers improved pedestrian safety. The wheel arches are more flared highlighting the robust nature of the Countryman as a true crossover, its soft off-road ability and the design of the wide-opening tailgate offers easy access to the large boot space. 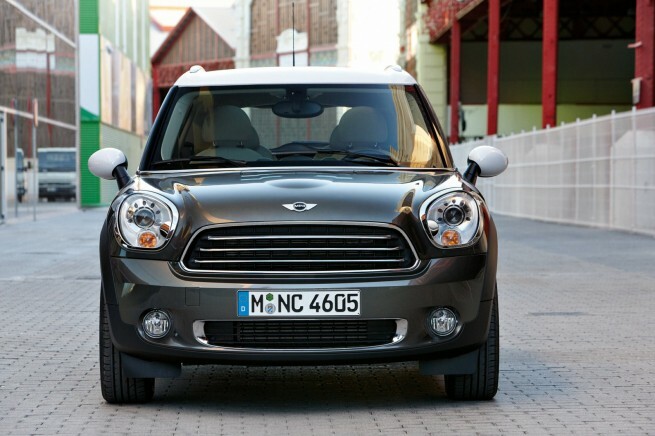 The MINI Countryman is all about comfort, practicality and innovative style inside. From the four wide-opening doors to the high-opening rear hatch, it is easy and comfortable to get into and out of, and a dream to load. The additional boot space of 350 litres is more than double that of the Hatch and 90 litres more than Clubman offers. With the rear seats folded flat the interior provides no less than 1,170 litres of load space. The multi-function rear seats are arranged in a 60:40 Base and 40:20:40 Backrest providing absolute flexibility with all three seats capable of folding flat in any combination. With one rear seat passenger, two seats can be folded flat or with two, one can be flattened. Flexibility is not compromised but celebrated in the new Countryman. The interior is dominated by iconic MINI design characteristics such as grippy and comfortable sports seats, the trademark central speedometer and neat, funky switch packs. New elements of MINI design language are introduced with the oval interior door elliptical trims that continue from front to rear door and back and the MINI Central Rail system. The MINI Centre Rail runs from front to rear instead of a conventional centre console and opens up new, individual options for integrating all kinds of storage boxes, cupholders, power chargers, music players, mobile phones and other accessories. * MINI Central Rail system. * Multi-function rear seats – the five seat fitment being standard in the UK, although the four seat option will be at no cost. * DAB digital radio with Radio Boost. All MINI Countryman models come with standard preparation for a bike rack. The multi-function rack itself is a bespoke item that not only secures bikes or surfboards being carried but also allows the rear hatch to be opened without removing the rack and its contents. The Countryman is equipped with 16 inch wheels on One and Cooper (alloy wheels on the Cooper), with 17 inch alloys on Cooper S. Options of 18 and 19 inch wheels in various styles are available. The Countryman range is available in 11 exterior colours and 8 interior trims. The demand for crossover vehicles has grown substantially recently: drivers want the best of both worlds with normal saloon-like driving responses as well as the added versatility of soft off-road ability and the interior flexibility to cope with all the hobbies, shopping trips and activities that are a huge part of the typical busy modern family life. As a result, MINI Countryman arrives in a growing segment that presents an opportunity to attract buyers from a wide range of competitive cars. Not only will they find the flexibility their lifestyle demands but they will also discover the world of MINI, a world where practicality and versatility does not bring limitations on the fun that can be derived from driving. Countryman opens up a whole new range of opportunities for MINI. “We always maintain that MINI is not a boutique brand like some of its competitors” said Goller. “MINI is not a one trick pony and as the brand blossoms still further with Coupe and Roadster, MINI will soon be a six model family. All this has happened within a decade of MINI’s rebirth” he concluded. 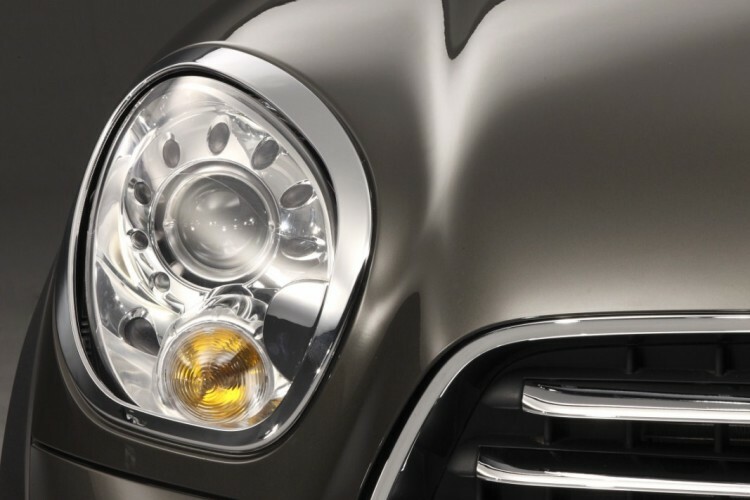 All Countryman models will be built by Magna Steyr in Austria. Although it is the first MINI model not to be built at MINI’s spiritual home in Oxford, the brand’s worldwide success means that there is insufficient capacity to make Countryman at present. It has been confirmed that the forthcoming Coupé and Roadster models will be built in Oxford. MINI Countryman will make its World debut at the Geneva Show in March and it will go on sale in the UK on September 18 2010 with prices starting at a very affordable £16,000.